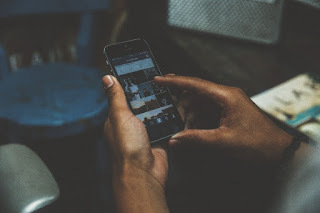 We get a lot of questions from our readers here at TracfoneReviewer about switching to Tracfone smartphones, and as more and more people make that transition, we wanted to share the best advice and tips we've gathered from our experiences, and those of our readers. -Switching to a Tracfone BYOP device. If you're shopping for phones, visit our Cell Phone Reviews page or our Tracfone BYOP page. In some cases it is possible to take the SIM card out of an existing Tracfone device and put it into a new phone with no need to make any other changes. Some users have found that if a phone isn't being recognized by Tracfone, inserting an active SIM can help resolve the situation. If you're looking for a new phone, see some great Deals and Discounts we recently posted! 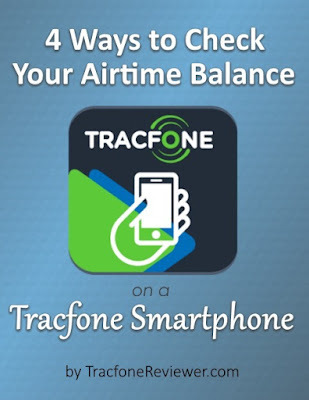 Also, take a look at our update to 4 Ways to Check your Airtime with Tracfone if you like to keep track of your minutes balance. Below we share details on the Tracfone Apple iPhone 5S. 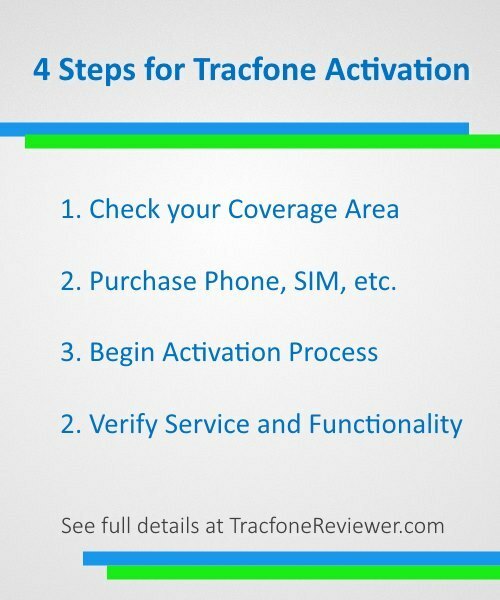 TracfoneReviewer is a blog dedicated to sharing news, info and reviews about Tracfone Wireless and we hope the information here is useful for you! UPDATE: The iPhone 5S is now available from the Tracfone website as well as Target retail stores. Additionally, Tracfone now also offers the iPhone SE, 6, 6S and 7 on their website. The Apple iPhone 5S is now available for Tracfone at both Target retail stores and the Tracfone website. 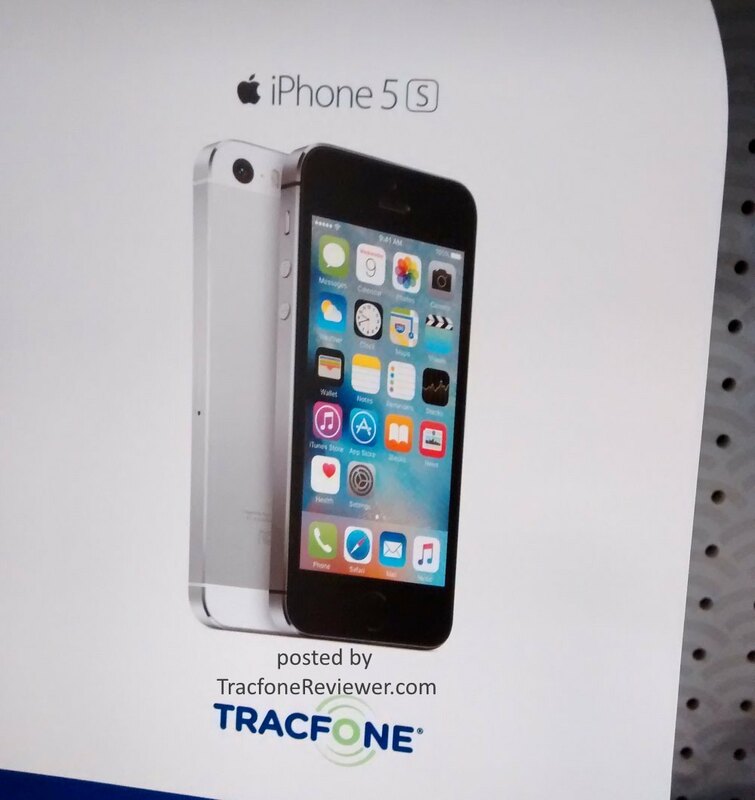 We've known about Apple iPhones coming to Tracfone for several months now, but the 5S at Target is the first sighting of what will likely be a full lineup of Apple devices available to Tracfone users. The iPhone 5S features 16 GB memory, a stunning 8 MP camera and a somewhat small 4" touchscreen. You also get access to the Apple App Store and iOS, the Apple operating system. Many Tracfone users know that Apple phones have been available to use on Tracfone's prepaid network for more than a year, but only through the BYOP program, where there's no guarantee of compatibility. So this is a deal for those who want an iPhone through Tracfone. What might be more surprising than the iPhone 5S coming to Tracfone is the price. 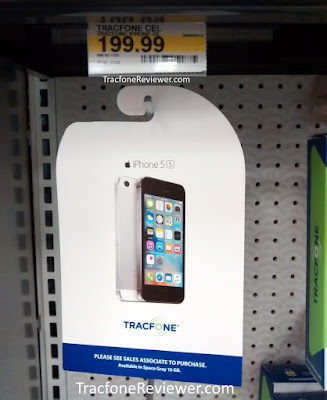 Target has the Tracfone iPhone 5S for $199 (on sale for $149 briefly), which is a very reasonable price for this phone. On the Tracfone website, the iPhone 5S is listed for just $149. Below we are going to share some of the features and specs for the iPhone 5S followed by where to you can buy the phone. We'll be working on a full review of the Tracfone iPhone 5S soon. Apple devices have always been a bit weak when it comes to specs, but performance-wise they hold up just fine. Some of the highlights for this phone include the 16 GB internal memory for storing apps, photos and other things, and the 8 MP rear camera which can record great images or HD video. The camera on iPhone's have long been a selling point, and even though the iPhone 5S is a few years old, the camera is still well beyond most other devices available from Tracfone. 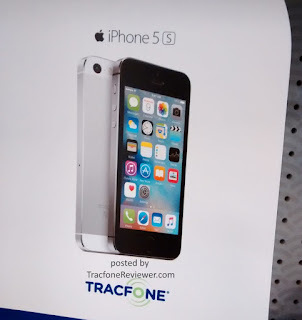 The iPhone 5S is available directly from Tracfone.com. Simply navigate to 'Shop for Phones' and follow the tromps to view phones available in your area. The Tracfone iPhone 5S is for CDMA networks, but some users are reporting that it shows up even when they enter a GSM zipcode. As we've already mentioned, the iPhone 5S is currently available at Target retail stores. We've found it in stock at 1 out of 3 local Targets, so it might not be available in every one. You can also find the Tracfone iPhone 5S on the Target Website. We will update if it becomes available elsewhere. This phone is retailing for just $199 at Target or $149 at Tracfone.com, which even at $199 is a great value for the device as it is hard to find an unlocked iPhone 5S for under $200. Many unlocked iPhone 5S devices are going for closer to $300. We are looking forward to gathering more information about this iPhone and the availability. Please leave a comment with your thoughts, opinions or questions! Keep up with the latest news and articles by following us on Facebook. It's a great place to interact with our more than 2000 other followers, and get your questions answered. We recently updated our Comparison of Tracfone Smartphone Cards vs Regular Airtime Cards and found some interesting results. Go take a look if you want to discover what phone card is the best deal, and which is right for you. Also check out our newest list of Tracfone Deals, Discounts and Sales! Below we share how you can check your airtime on Tracfone smartphones. 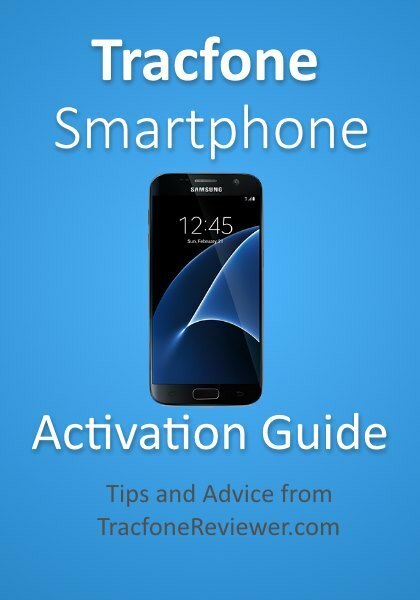 If you're new to Tracfone, consider taking a look at our Beginners Guide to Tracfone (opens in new window). On older, non Android phones, airtime and service days are displayed on the home screen and via the prepaid menu for easy monitoring. But on Android Smartphones, there is no automatic menu or display for your airtime. So how can you check your balance? We will answer that here, with several different ways! Tracfone is a prepaid cell phone service provider that also sells phones to use with their service. They have a wide variety of phones, from flip phones to touchscreen smartphones. Visit our Cell Phone Reviews page to see the options including some of the latest Android devices. On Android smartphones, minutes are not treated the same as on feature phones, they are split into three buckets for texts/talk/data. It is always important to keep track of your airtime and service days with Tracfone because if you run out of minutes or service days, you can't make any calls. Now with your texts, talk and data split into different buckets for Android phones, it is even more important to keep track of how many of each you have remaining. Take a look at our explanation of How Minutes Work on Android Phones for more information. We've also Compared the New Smartphone-only cards to the Regular Airtime Cards to determine which card is the best deal. Well, if you're having trouble checking your airtime on a Tracfone smartphone, we've got an easy solution for you, actually we have four different solutions! Because it is so important to manage your airtime with Tracfone, we've included four different ways to check your balance! Not all of these methods will work for everyone, but hopefully you can find a convenient way to check your balance. The Tracfone App (follow the link to it on Google Play) is a helpful app you can download on your Android phone and use to check your balance. You can even add a widget to your home-screen that will display your airtime, much like on older feature phones! Step 2 - Once the app is installed, launch it and enter your Tracfone account login details. If you don't already have a Tracfone account, simply go to the Tracfone website and create one. Step 3 - Use the app to check your remaining balance. At this point you can also install a widget on your homescreen so you can always view your balance. To do this, select the option on your phone to view all apps, and then look for a list of widgets, and select the Tracfone My Account widget. If you don't have the space for this app on your phone, or want to check your balance online, you can use any of the following methods. You can always go to the Tracfone website, whether from your phone or on a computer, and log in and view your account details. From there you can check your airtime balance and it should show your remaining minutes, and/or send you a free text with this information. Speaking of texts, you can now buy extra text messages for your phone. Read our analysis of the new Text Message card and more! Some readers shared this easy trick for checking your airtime balance. It appears to sometimes redirect users to log into their Tracfone account, but it is a convenient method if it works. "https://www.tracfone.com/direct/CheckBalance?input_phone=1234567890" (replace 1234567890 with your phone number, and don't include the "" quotation marks). You should get a text with your balance. And finally, some users are reporting the easiest way to check your balance, but it doesn't work for everyone. Check your Tracfone Balance from your Phone! This is by far the fastest and easiest way to check your airtime on a Tracfone Smartphone or BYOP device. However, it only works for some devices. A number of readers have reported they are unable to use this, so if you try it and it doesn't work, use one of the other methods above. All you do is call *777*1# and you should get a pop-up within a few seconds that shows your talk, text and data. If you get something else, or an error, then it doesn't work on your phone. This is a newer option for Tracfone users to get their airtime balance sent directly to your text message inbox. You get your talk, text and data totals, plus your service end date. Standard messaging rates apply, so you will be deducted for the texts. Visit http://www.fastactportal.com/static/balance and enter your phone number to retrieve your balance. This appears to work for both smartphones and non-smartphones, and will display your service days as well. You can bookmark that site on your phone or computer, and check it at your convenience. Tracking your airtime is important, so that you don't run out at an inconvenient time when you really need the phone. You can make your life a little easier by looking into the Tracfone Family Value Plan, Tracfone Service Protection, Auto-Refill, or other monthly plans. Tracfone has expanded their options for monthly and automatic renewal plans, and they can be a good fit for many. You can sign up on the Tracfone website, and cancel at any time. If you're shopping for a smartphone, be sure to check out our List of the Best Tracfone Smartphones in 2017, which includes some of best current smartphones available from Tracfone. And see our post on the Major Differences between Android and Non-Android phones from Tracfone. Keep up with the latest Tracfone news, info, deals and tips by joining over 2500 others who Follow us on Facebook! It is also a great place to ask questions! You can also Bring Your Own Phone to Tracfone, including devices like the Moto G, iPhone 6 and Samsung Galaxy S7. See our Latest list of Deals and Discounts on Tracfone cell phones, but be careful, you might find a deal too good to pass up! Thanks for visiting and leave a comment if you have thoughts or questions to share. Originally published on 2/272015 and updated on 8/10/2016. Below are a list of various phones for Tracfone and where to get them for the best price. TracfoneReviewer strives to provide readers with the best information to help them save money. Take a look around our blog if you're new to see some of the other Tracfone related content we offer. Tracfone releases new phones on a regular basis, but these phones are released through a wide variety of retail channels including stores, online shopping networks, and the Tracfone website. It can be hard to track down where the best deals are for Tracfone devices. But we keep up with where phones are being offered, and where to find the best prices and are sharing our best deals here. These deals don't always last long, so be sure to move quickly if it is a phone you really want. We are including in this list of deals and sales some Tracfone smartphones, a non-smartphone device for Tracfone, as well as several unlocked smartphones that can be used with Tracfone BYOP. Our goal is to share some of the best deals we have found on phones to use with Tracfone, to give our readers more options when buying a device. Be sure to leave a comment if you find a better deal somehwere that we missed. All of the phones listed below we recommend because we think they are a good value for the money. But everyone needs to consider what they want out of a phone before finding which will suit their needs best. If you need more help looking for a new phone, visit our list of Cell Phone Reviews. Some of these deals include just the phone, or the phone and airtime. We are going to start this list off with two non-smartphone options for those who might need to upgrade from a 2G device, but are not ready for a smartphone. The LG 306G (click for our review) is a small, touchscreen phone that does calling and texting, and has the capability for java based apps. But you cannot use typical apps from Android because this phone doesn't use the Android OS. It comes with a 3.2" touchscreen, 3 MP front facing camera, and uses GSM networks. This is a basic device, but at only $6.99 on Amazon with Triple Minutes for Life, it is a very good deal for those who don't want to make the move to smartphones. Another non-smartphone option is the LG 441G flip phone. This is also a very basic phone, but does calling a texting as you would expect from a flip phone. The LG 441G is available from QVC for $20 and includes a 60 minute airtime card worth $20, making the phone essentially free (just remember shipping and handling costs). One of the major benefits of non-smartphone devices from Tracfone is that you can still use Tracfone Promo Codes with them and get extra airtime for free each time you add minutes to your phone. Now, let's get to the great deals on Tracfone Smartphones. We recently reviewed the LG Rebel and it is a basic but good smartphone with Android 5.1, 4.5" touchscreen, 5 MP camera and 8 GB Memory. It is a phone that is best for low to moderate smartphone users. If you tend to use a lot of different apps, you may want a more powerful phone. The Rebel is a good option for first time smartphone users, or even as a backup device. It runs on CDMA networks. You can get the LG Rebel with 1200 minutes from QVC for $84 (at this time). The airtime alone is worth about $100, making this a great deal. If you don't need the minutes, you can also get the Rebel from eBay for $50 . We also recently reviewed the LG Stylo 2 and it comes with an impressive 5.7" touchscreen. You also get 8 MP camera, Android 5.1, and 8 GB internal memory. The key feature for the Stylo 2 is obviously the large screen which makes reading, watching videos or even texting much easier. The rest of the specs for the Stylo 2 are very adequate, but for people who like to use their smartphone a lot, and run multiple apps at once, you may want to look for a phone with both more internal memory (for storing apps) and more RAM (for running multiple apps at once). Get the LG Stylo 2 from HSN for $180 which includes 1200 minutes (worth $100). The LG Lucky is a very basic smartphone running Android 4.4, with a 3.8" touchscreen and 4 GB internal memory. We would only recommend it to people who don't plan to use their phone for very much beyond email, facebook, or browsing the web. But you can get the LG Lucky for just $10 on Amazon, making it a great value for the money. Some of the optinos for this phone include a dedicated MP3 or podcast player, back up phone, or smartphone for kids. The main limitations for this phone is the low internal memory and low RAM. Take a look at our review of the LG Lucky to learn more. Next we want to share a few smartphones that could be used with Tracfone BYOP. These are unlocked devices, and should work with BYOP, but they are not guaranteed to work, so proceed with that in mind. Making sure that the device is unlocked, and uses the correct network for your area are good steps to increase the likelihood that the phone can be activated with Tracfone BYOP, but we've still heard from a small percentage of people about issues with activating devices on BYOP. There are two major benefits to activating your own device with Tracfone BYOP - selection and price. You can choose your smartphone from a much wider selection, and these phones, especially refurbished or used models, can be purchased at significant discounts. Tracfone has very limited options when it comes to internal memory, but when you bring your own device, you can get a phone with as much memory as you need. The R1 is a budget BYOP option that comes with two main features many Tracfone users may want - 16 GB internal memory and 2 GB RAM. You also get Android 6.0, a 5" touchscreen and an 8 MP camera. How much does a phone like this cost? Well that's the best part, the regular version, with 16 GB memory, is available on Amazon for $109. If you're a prime member, you can get a $50 gift card with certain restrictions. When we first started hearing about the BLU line of smartphones and how cheap they are, we were skeptical, but several readers have reported good experiences activating BLU devices with Tracfone. The Moto G line of phones is well known for delivering great value at a reasonable price and the newest generation, the Moto G 4th gen, is no exception. It comes with 16 GB memory (or 32GB), 2 GB RAM, an Octa-core processor, 5.5" touchscreen and 13 MP camera. You can get the Moto G on Amazon for $199, or even less with certain offers. One of the big features of the Moto G line is exceptional, all-day battery life. The newest model takes it one step further with turbo charging, giving up to 6 hours battery life off of a 15 minute charge. If you're tired of your phone running out of battery halfway through the day, consider the Moto G.
The Galaxy S5 was the flagship phone for Samsung in 2014 and it had some of the most advanced features at the time. Two years later it is still a powerful phone, but you can get it for much less than before. Featuring a 5.1" touchscreen, 16 GB internal memory and 16 MP camera, the Galaxy S5 has outstanding features even though it is two years old. It is also dust and water resistant, which is always good in case of an accident. Tracfone actually offers the Samsung Galaxy S5, Samsung Galaxy S6 and S7 for sale, but they range in price from $500 to just over $600 and not everyone wants to spend that much on a phone. You can find an unlocked Samsung Galaxy S5 on eBay for around $200 , and under $200 if you're willing to buy a refurbished model. Always be sure to read any fine print about the condition of the phone, and make sure it has a clean ESN and is compatible with whichever network you plan to use. 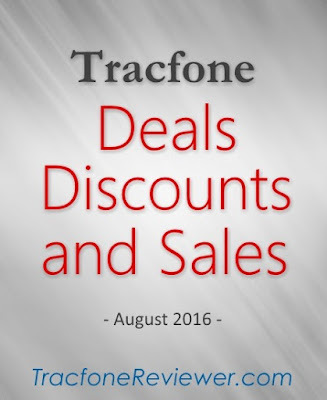 That concludes our list of great deals, discounts and sales on Tracfone smartphones and unlocked devices. Please leave a comment below with your thoughts or questions. And also let us know if you find any exceptional deals out there. You can also get answers to your questions, or just stay current on the latest Tracfone news and information by Following us on Facebook where we have more than 2000 other Tracfone users. We updated our article on New Tracfone Smartphone-Only Airtime Cards and included some airtime comparison tables that are very helpful in learning which card is the best deal for you to buy. Take a look if you want to learn more. Below we share the latest promo codes to use with Tracfone. 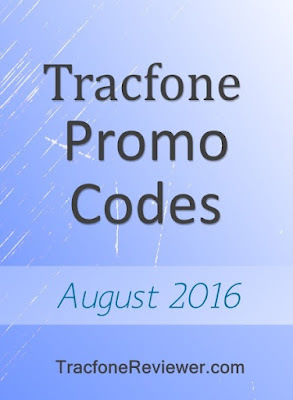 Each month, the TracfoneReviewer blog collects new codes and posts them on our site. We hope you find these codes helpful, and be sure to check out the rest of our Tracfone related content! 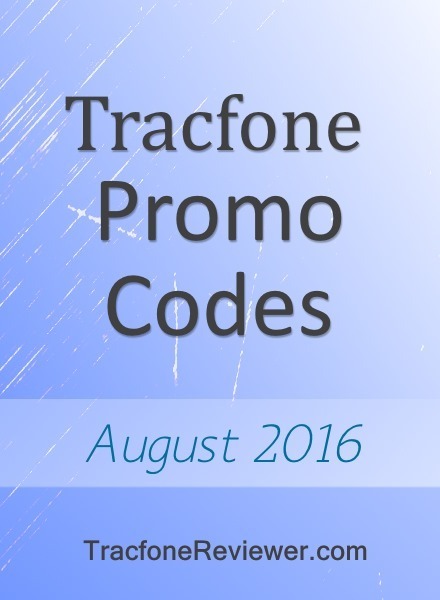 The month of August bring warm weather and new Tracfone Promo Codes! These promotional codes from Tracfone can be used to get extra airtime for free when you add an airtime card. You don't have to do anything for these codes, they are free to use. Simply enter the code while entering your airtime PIN on your phone, over the phone, or on the Tracfone website. Tracfone provides these codes as a way to give incentives to their customers and you can use a code every time you add airtime to get free minutes. Please note, these codes do not work on any smartphones, which includes both the smartphones available through Tracfone, and those on Tracfone BYOP. But smartphones do offer a lot of advantages, and Tracfone has been releasing a number of new Android smartphones for their customers. We just published reviews for the LG Rebel, a budget friendly smartphone with good features, and the LG Stylo 2, and slightly more expensive device that comes with a large, 5.7" touchscreen. You can catch up on the news about new Tracfone devices by reading our posts New LG/Samsung Smartphones from Tracfone and New Alcatel/ZTE Smartphones from Tracfone. Enough about phones, let's get to the codes. These codes are just the latest promo codes for Tracfone that are valid and working for the month of August 2016. We have a much larger list, with many more codes, on our main Tracfone Promo Code page. Be aware that some codes may only be used once, while others can be used multiple times. These are the latest codes, free to use and share. Please pass them along to your friends and family. We've noticed some sites hide or even sell these promo codes, so make sure everyone you know is aware they are free! Keep up with the latest news and info about Tracfone by following us on Facebook! We share a variety of Tracfone information, and are available to help answer questions along with our more than 2000 followers. If you are considering a Tracfone smartphone, take a look at our recent post on the Changes to Smartphones Only Airtime Cards. These changes only affect smartphone cards, but we share some analysis on which cards are the best deal. You can also visit our Cell Phone Reviews page for our full list of Tracfone cell phone reviews including both smartphones and non-smartphones.